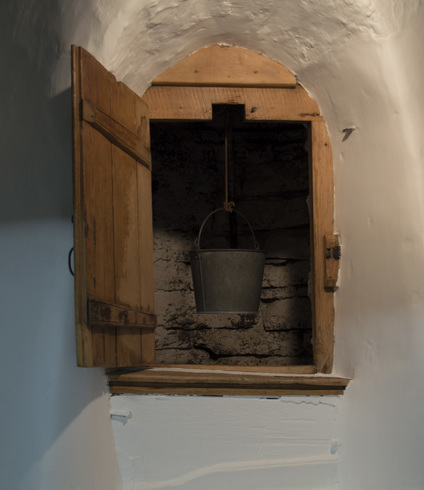 In the Lower Town of Quebec City, most people had no need to dig wells, because the river was close by. But on Cap Diamant, there was no other option if you wanted fresh water. Marie of the Incarnation directed the construction of the wells for our Monastery. This water source allowed the lay sisters to efficiently carry out their chores. The well is no longer used but there is still water at the bottom of the well today, especially after heavy rains.